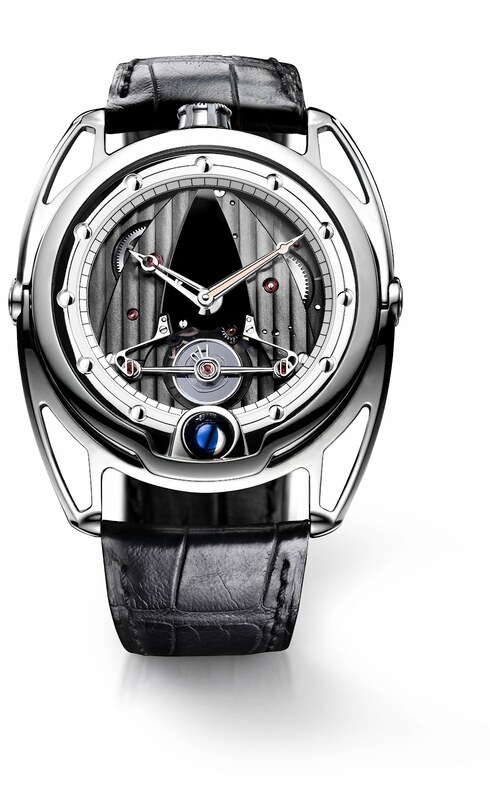 In November 2011 at the Geneva Watchmaking Grand Prix prize-giving ceremony, the DB28 model by De Bethune was awarded the Aiguille d’Or (Golden Hand), the supreme distinction of these prestigious awards. To celebrate this victory, De Bethune revisits this iconic model and offers a limited edition featuring subtle details that are sure to delight collectors and dedicated enthusiasts. 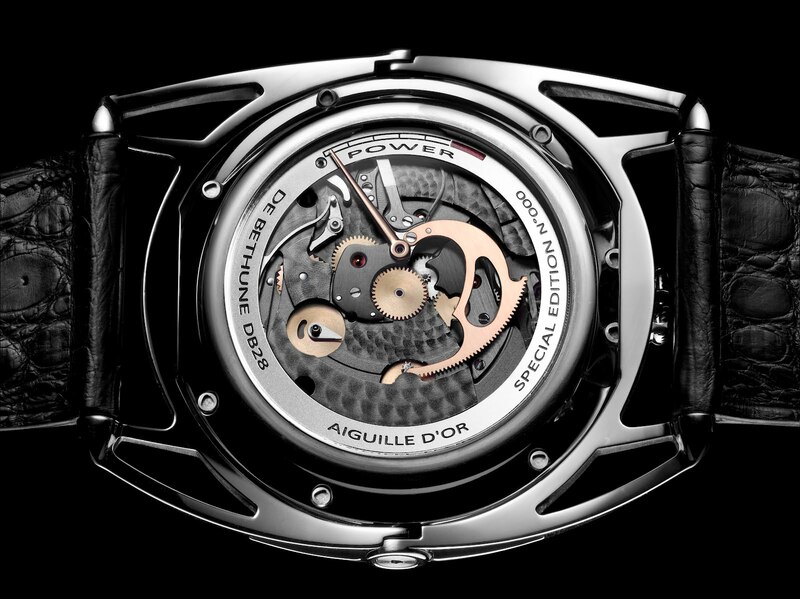 The characteristic aesthetic of the DB28 is enriched with a rose gold baguette-shaped insert adorning the minute hand. 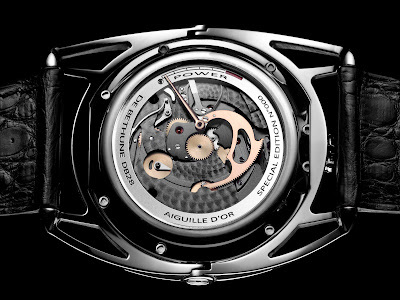 The distinctive shape of the mirror-polished titanium case, inspired by pocket watches, accentuated by the spherical moon phase and by the silicon/palladium balance, features an exhibition back revealing a finely decorated movement enhanced by gold wheels and a gold hand for the linear power reserve. These exceptional timepieces feature a pure style in which the taut lines, the exquisite hand-crafted finishes and the slenderness of the case combine with the technical innovations to offer a contemporary expression of the horological art according to De Bethune.